Building sustainable, environmentally sound value and efficiency is the cornerstone of todays commercial and facility services landscape. Competitive pressures within the real estate community demand cost synergies while balancing a dynamic service environment. Owners, facility managers, asset mangers and property management firms require flexibility in service and cost impact. Flexible office and facility space, open area concepts and cross functional technology environments require a greater level of partnership between service provider and client. DMS understands the direct correlation between facility service and the client environment. DMS aligns demand with execution through isolated targeting of precise service models. These customized service models are reflective of internal building or facility environments and client objectives. 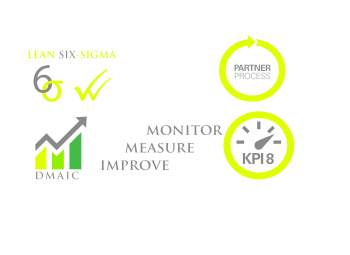 In support of a metrics based approach to service, DMS capitalizes on measurement, data assessment and real-time auditing of our service. These data points are reconciled against facility trends, financial elements and unique facility criteria driving overall cost provisions. Our leadership, management and frontline staff are trained to understand the facility culture, focus on exceeding service delivery thresholds in key areas and adaptation to changing production environments prevalent in modern office settings. This approach allows cost and process efficiencies to emerge through environmental data in contrast to generic industry trends. In conjunction with this metrics approach, DMS offers a transparent opportunity to partner and bundle service lines. This cohesive suite of services amplifies the value proposition without disrupting the flow of information or oversight of the project. People, process and performance galvanize the foundation of the DMS service model and offer competitive separation from industry benchmarks.